*This is Jessica speak for I didn’t take enough pictures and wanted to go again**. **That, and, I wanted to go again. 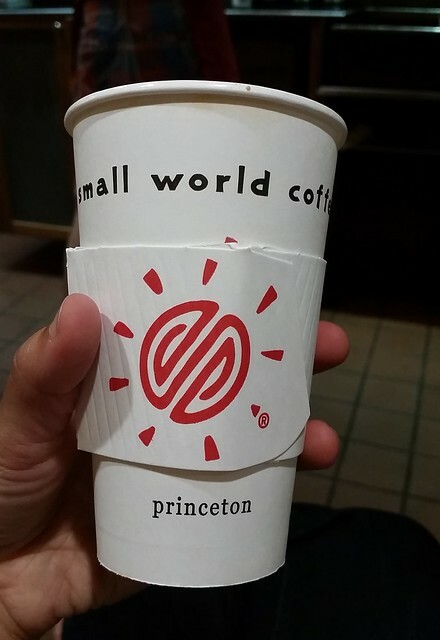 Small World Coffee is the central nervous system of Princeton, NJ. 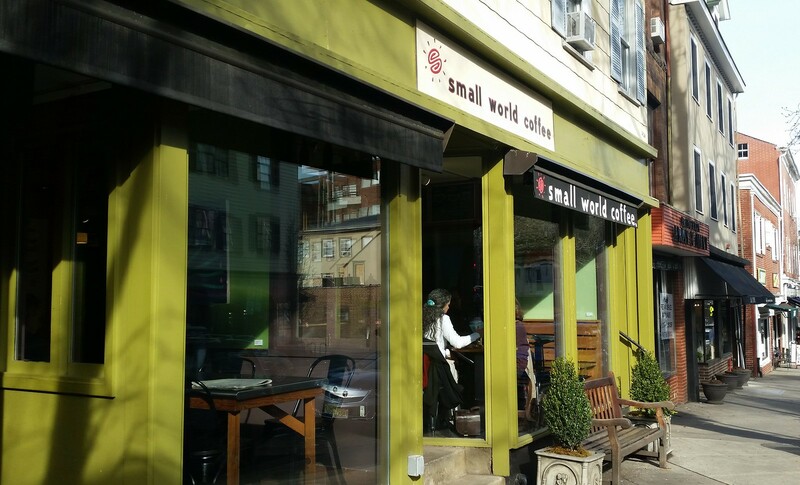 Though there is a Starbucks literally around the corner on Nassau Street, it seems as though all of Princeton prefers to push its way through Small World’s doors in the morning. From business folk and college students to spandex clad women carrying yoga mats and gym bags, the line at the register is ever changing, yet never ending, on the average weekday morning. We found ourselves there on such a morning by the fortunate and rare occurrence of Lance having a weekday off. 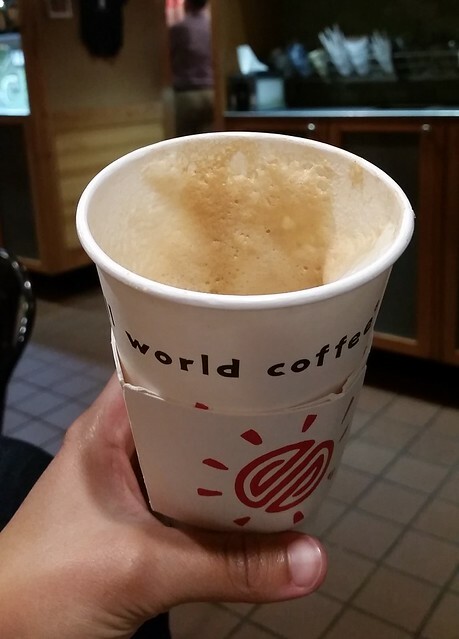 Though Princeton has several non chain, local coffee offerings, Small World seems to be the one the true locals crave. After we enjoyed our coffee, we walked about Palmer Square and noted that the other coffee joints, though open, didn’t have quite the same line as Small World. In fact, there were no lines at all. 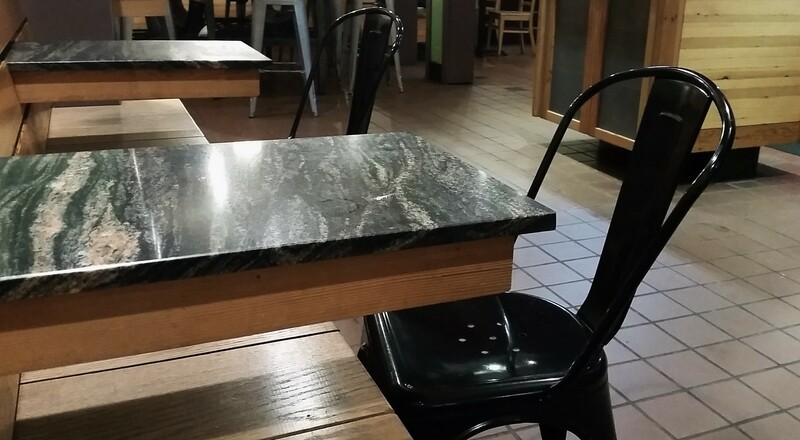 How adorable are these tables? A wall of the artsy tables pictured above hides behind an area set with a microwave and coffee fixings which runs parallel to the counter. The register on our previous visit had two tips jars: one labeled “Don’t Tell Mom the Babysitter’s Dead” next to another labeled “Adventures in Babysitting”. I think “Adventures in Babysitting” was winning. On our first visit to Small World, we went basic and ordered their house blend and a cappuccino. 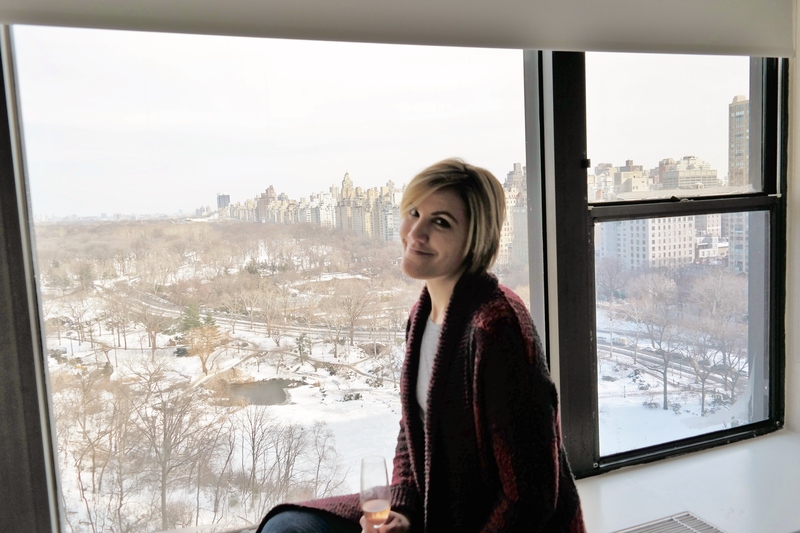 The cappuccino was the kind of cappuccino I dream of receiving every single day of my life: not too much foam, not too strong, yet still strong enough to wake me up, with a perfect balance of espresso laid upon perfectly frothed milk. *While I do have my own grinder, I absolutely hate using it. **It just means I have to plan another trip into Princeton, darn. We both ordered muffins from the plethora of baked goods they have, which are also baked on site. 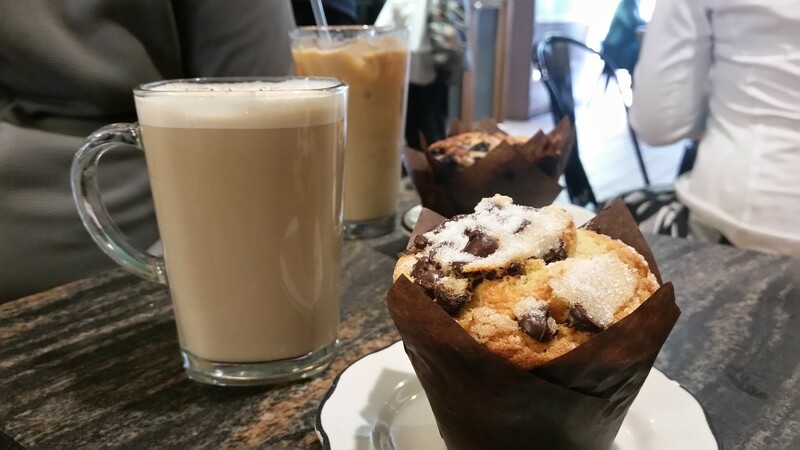 While Lance went not-really-healthy-but-healthier-than-me and ordered a blueberry muffin, I went for the good stuff and ordered a chocolate chip muffin. 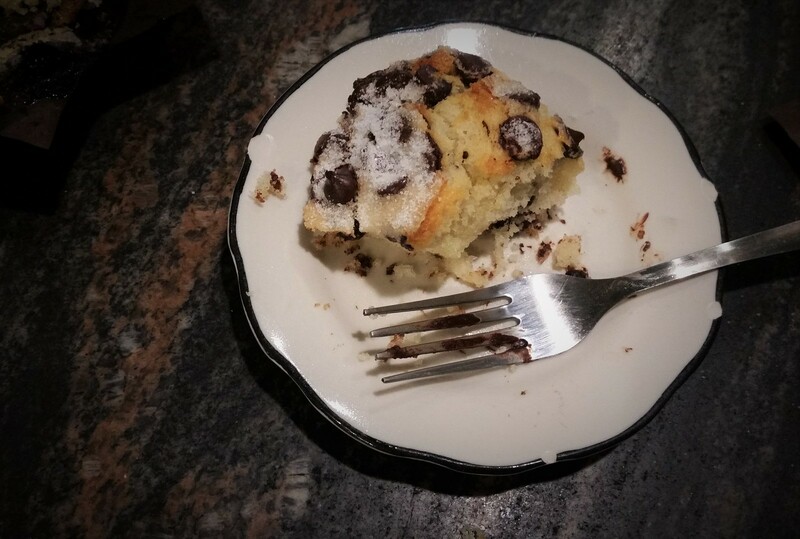 Chocolatey goodness (look at my fork) mixed with a more cake than muffin body made for a delicious morning treat. One that could become a very bad habit if I lived closer to Princeton. *Except for when we show up at nine in the morning on a weekday. Most businesses don’t like to open until ten. So instead we walked around, enjoying the classic architecture that the University has to offer. Wish I’d found it last time I was there.